First Floor 1784 sq. ft.
Second Floor 777 sq. ft. 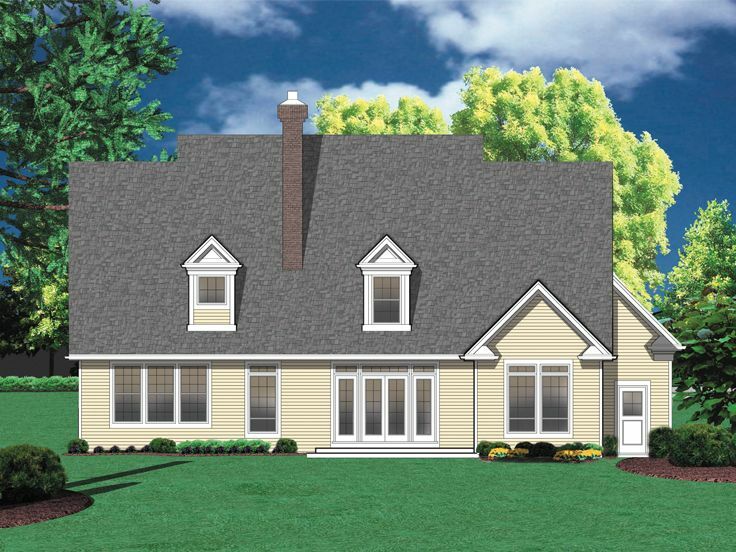 Build this country traditional home and you'll own an heirloom in the making. Stately and refined on the outside, it's beautifully appointed and family friendly on the inside. 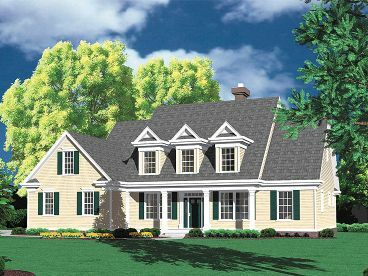 Also influenced by Colonial design this two-story features a trio of dormers, multi-pane windows with shutters, and a covered front porch, bounded by columns. The unobtrusive two-car garage opens to the side. 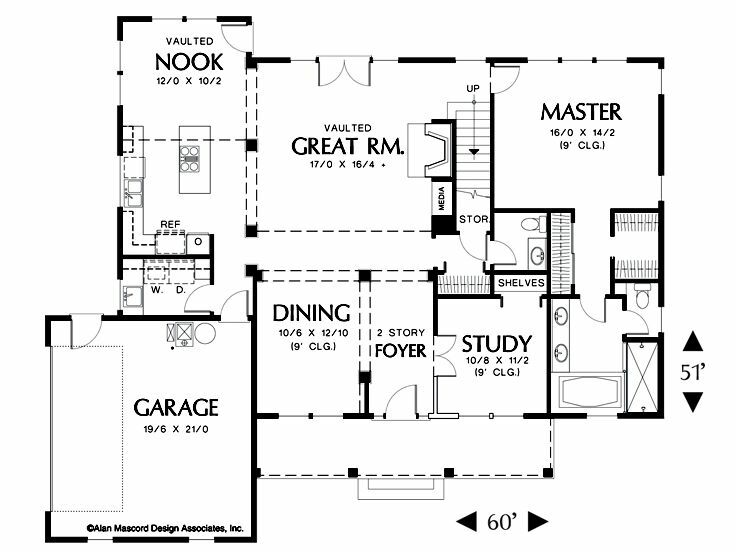 The floor plan is thoroughly modern with spacious rooms and vaulted ceilings in the foyer, great room and dining nook. Traditionally styled columns define the open public rooms, aligned along a central corridor. Windows on all the perimeter walls flood the house with sunlight. French doors in the great room and nook offer access to the backyard, ideal for grilling and summertime cookouts with family and friends. 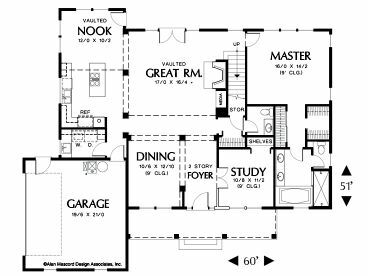 You will find efficiency with the thoughtfully planned island kitchen, laundry room and garage access all grouped on one side of the home. 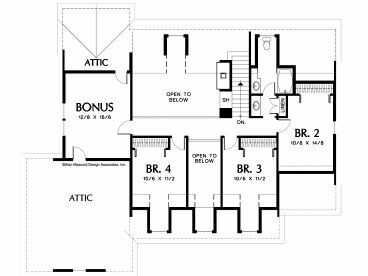 There's storage galore: Built-in shelves in the study, a media center beside the great room fireplace, a closet beneath the staircase, cabinetry in the laundry room and two accessible attic spaces. This gracious design delivers four bedrooms, including the master suite on the main level. The suite is replete with amenities, including His and Her closets, a whirlpool tub and a walk-in shower with two showerheads. 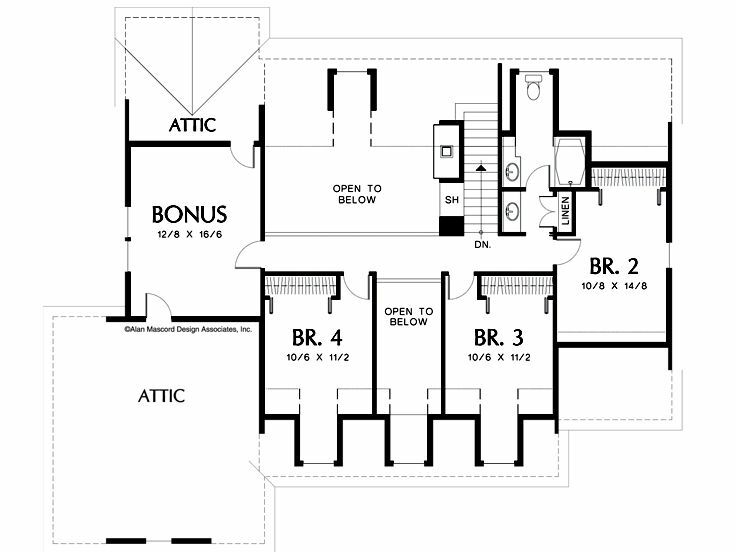 Three large bedrooms and a compartmentalized bath are on the top level accommodating the children’s needs. Dormer windows capture natural light in Bedrooms 3 and 4 adding cheer. Check out the bonus room. Finished now or years down the road, this space can be furnished as a home office, a guest bedroom, a hobby room or playroom. A masterful blend of past, present and future you simply can’t go wrong with this two-story house plan.